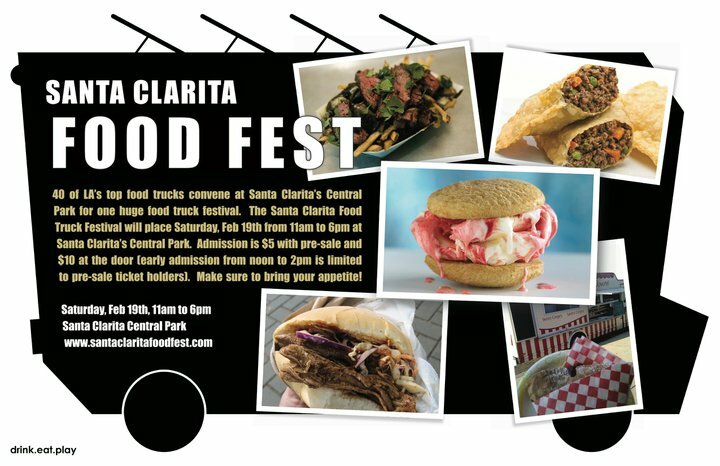 40 of LA’s top food trucks convene at Santa Clarita’s Central Park for one huge food truck festival. Admission is $5 with pre-sale and $10 at the door, with a percentage of proceeds support the Santa Clarita Pantry. Pre-purchased tickets will be allowed in at noon, and door sales will be admitted at 2pm. Very limited VIP tickets will be admitted at 11am. Admission does NOT include food which can be purchased separately.